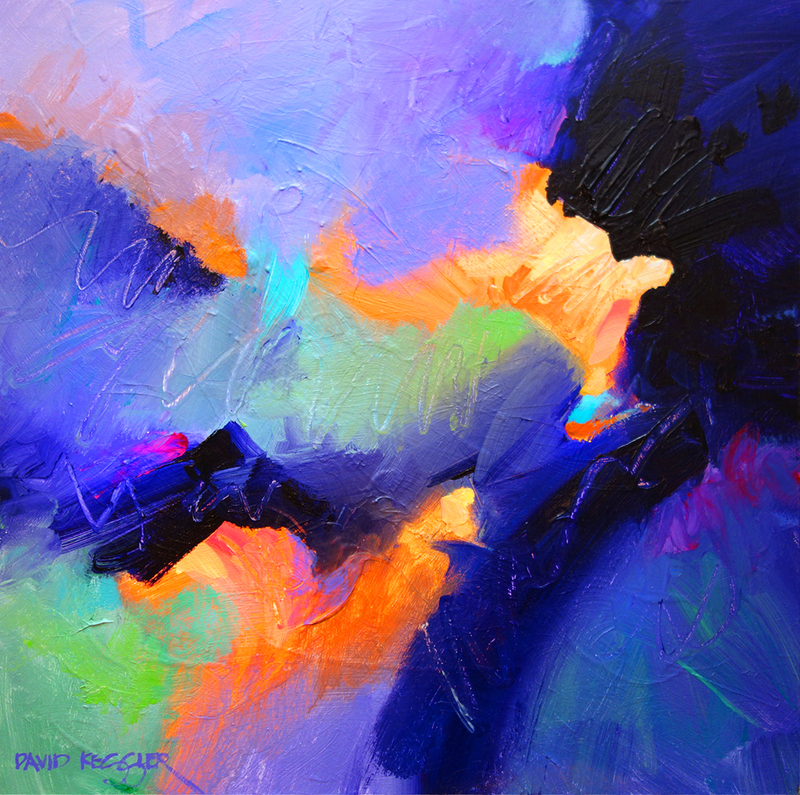 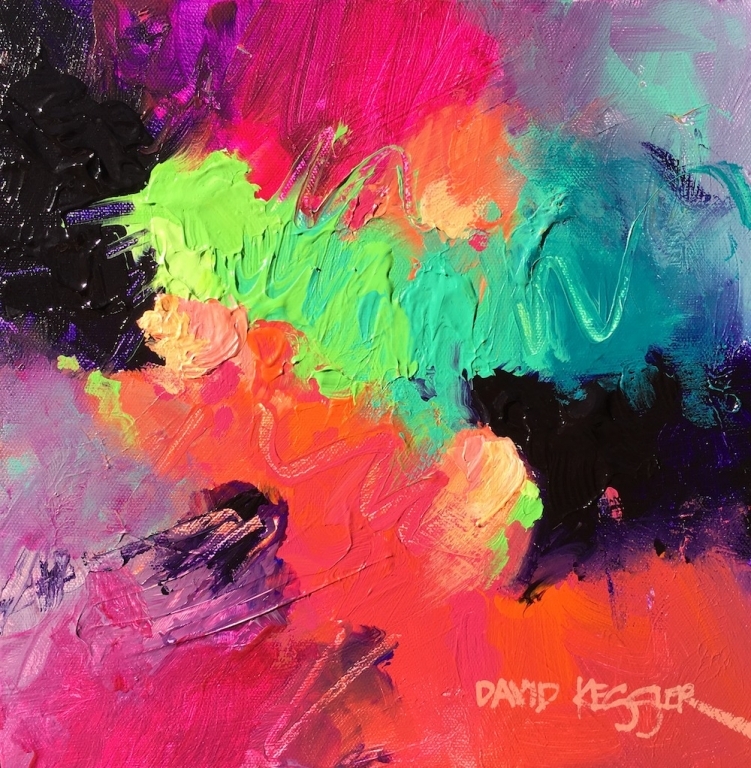 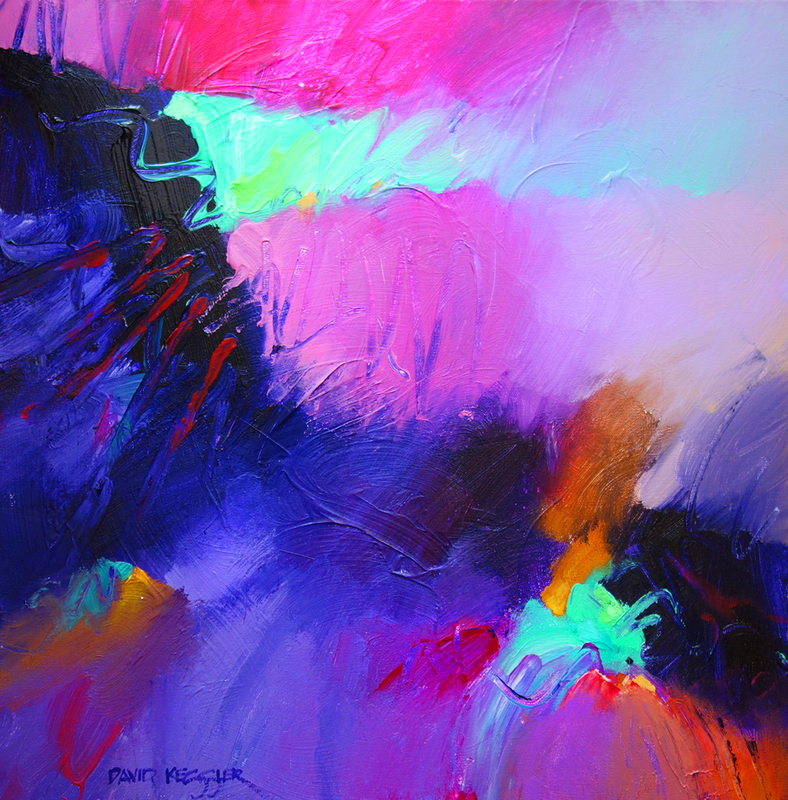 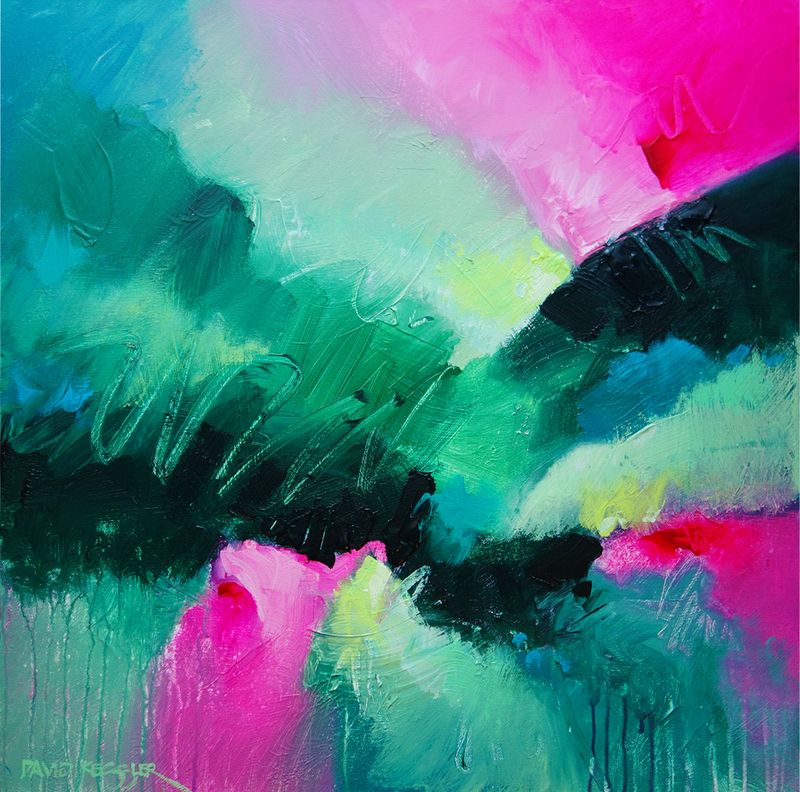 The two comments that David M. Kessler always hears from people who see his work for the first time are “I love your use of color!” and “I love the energy in your work!” His high level of energy comes through on the canvas in the form of expressive brushstrokes and movement- filled composition. 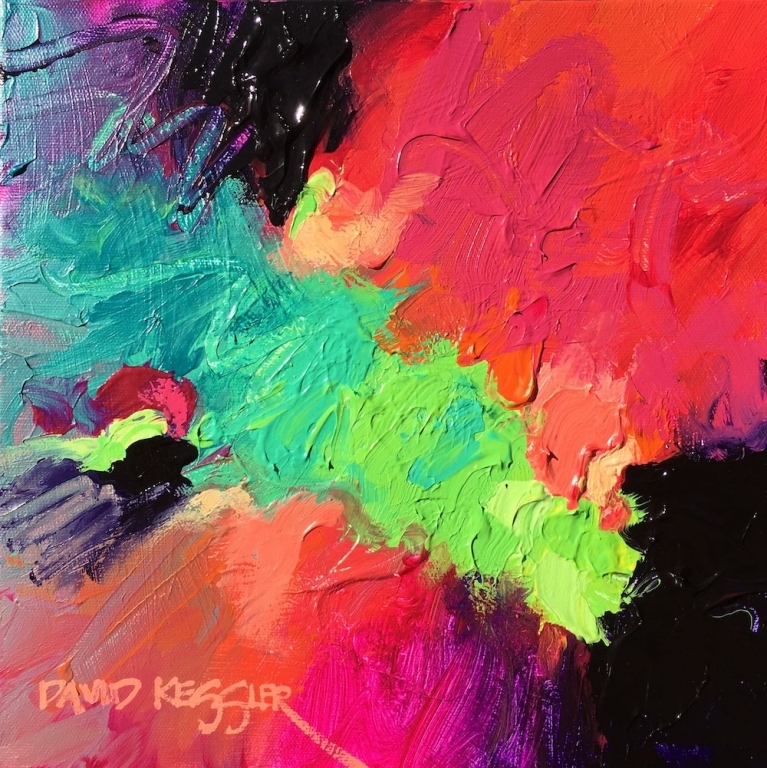 As David says, “I use the process of abstraction to create paintings utilizing spontaneity as a conduit for creativity.” It is this spontaneous release of emotion onto the canvas that creates bold, colorful, expressive and dynamic paintings. 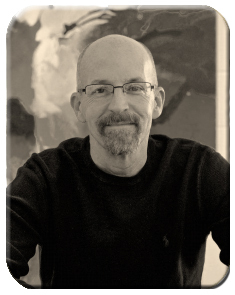 David’s ability, from a young age, to draw accurately and visualize in three dimensions lead him to a 30-year professional career in architecture, from which he is now retired. 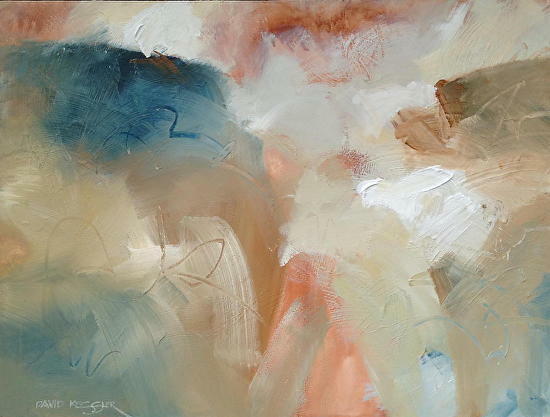 His spontaneous painting approach was initially developed as a counterpoint to his architecture work, something he has coined as “Structure vs. Spontaneity” – a concept that continues to inform his work. 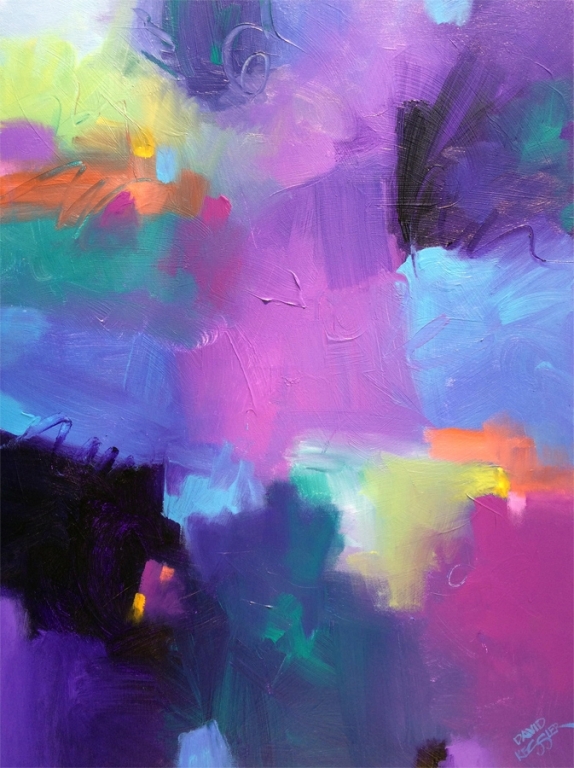 Although his process is spontaneous, he realizes that a painting must have a formal structure, just as a building has a structure to support it. 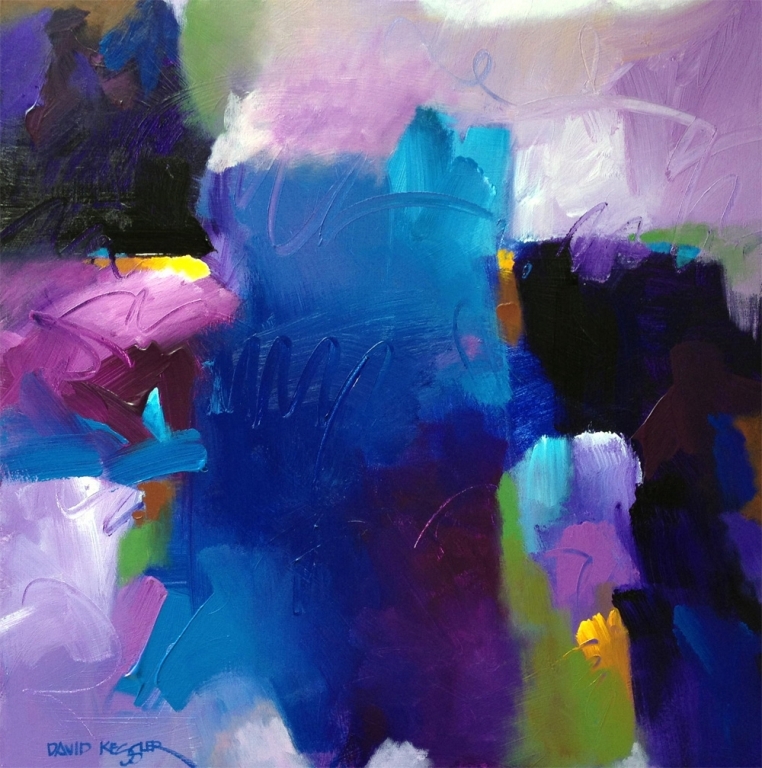 He finds this structure through the use of the design elements of line, shape, value, color and texture. 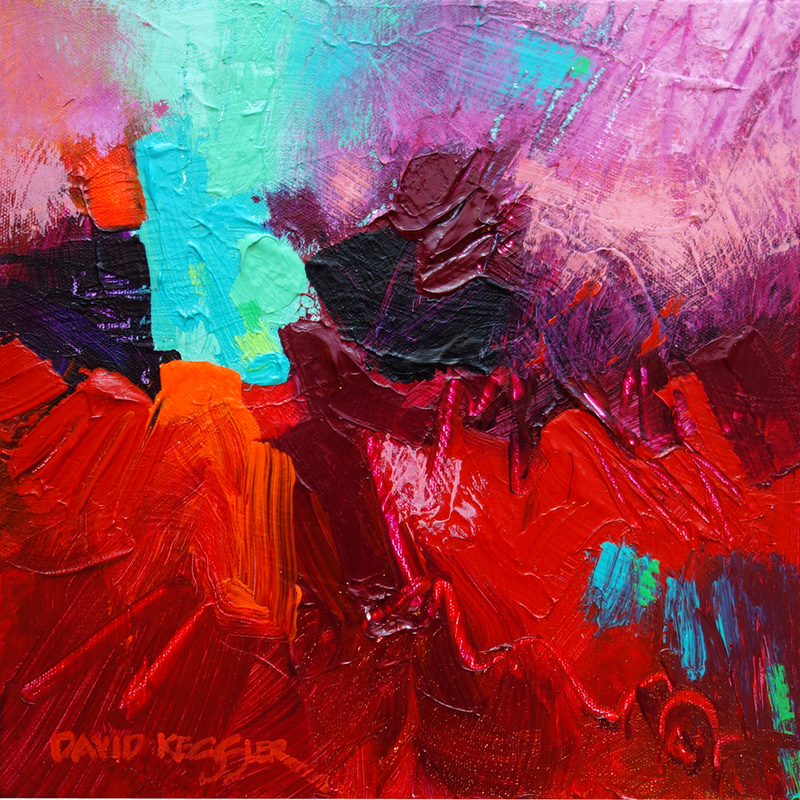 When not in the studio David can usually be found riding his bike in a charity event or on the local mountain bike trails, fishing at a farm pond, relaxing at the beach or spending time in the outdoors enjoying the beauty of the natural environment, which always seems to inspire his work and refresh his soul. 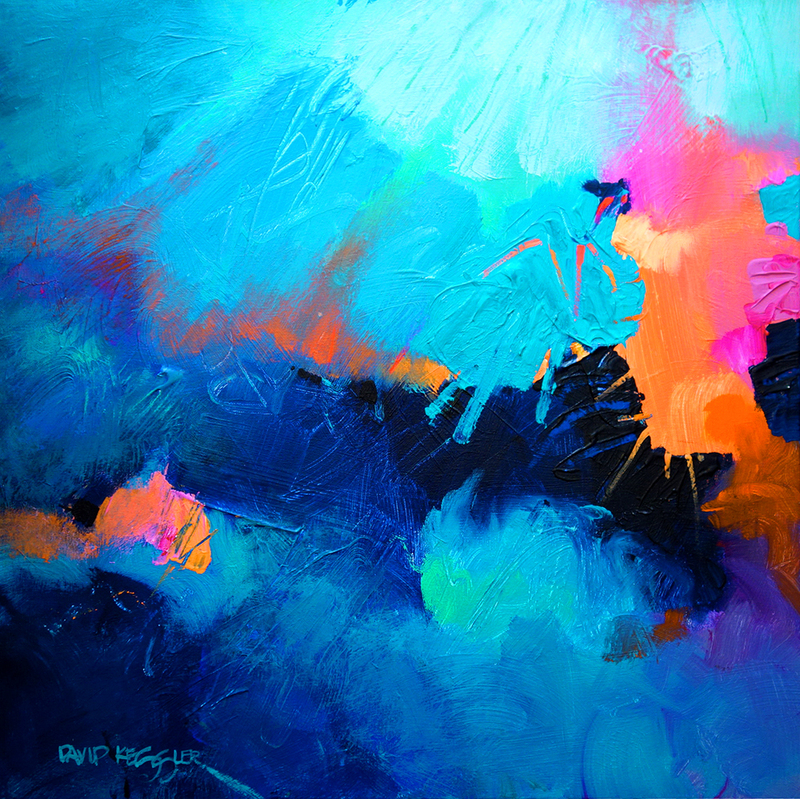 In addition to painting, David teaches abstract painting workshops in several states including North Carolina. 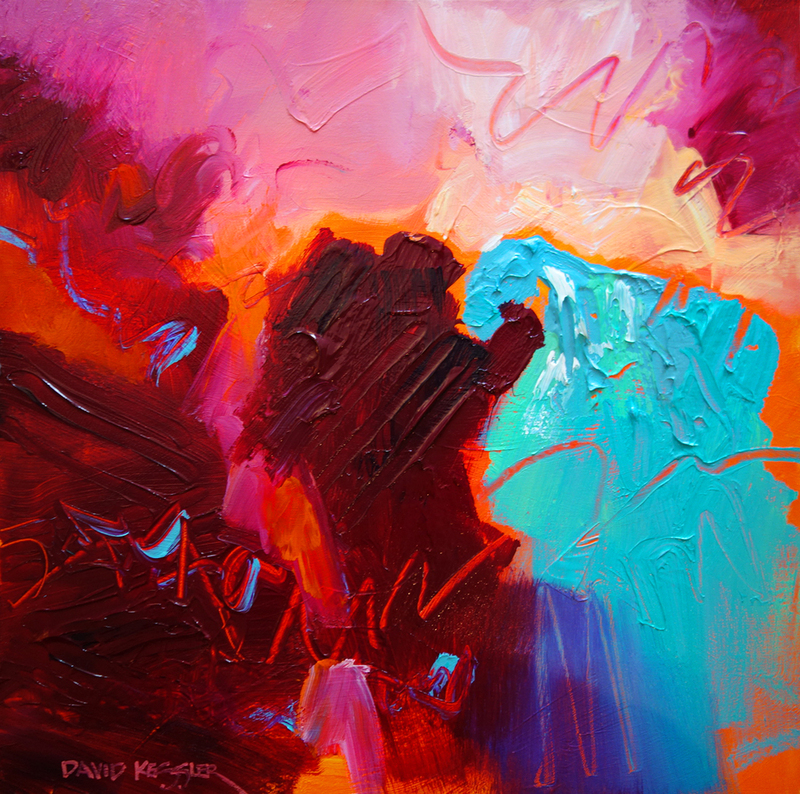 David’s bold, energetic and colorful works can be found housed in corporate and institutional collections in North Carolina and private collections in the United States, Canada, Mexico and Europe.